Below are trips in place for 2013. We're working on others so be sure to check this page frequently! Wild cranberry bogs, Boston city tour, Martha's Vineyard tour and so much more! 11 days from Prague to Budapest including 7 night river cruise and lots of guided sightseeing. See centuries-old towns and see beautiful river-side vistas unfold around you. Spend three nights just one block from Times Square, see a Broadway show, a Radio City Music Hall Christmas Spectacular, tour Statue of Liberty and lots more! 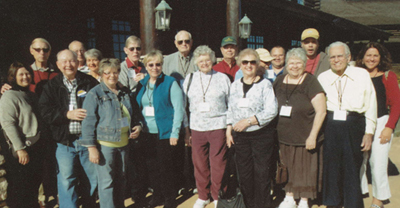 The Travel Club in Branson 2012!